Baking Soda Substitute – What are the Best Alternatives? What can you use as a baking soda substitute ? Before you try and find a replacement it's best to understand what baking soda is and what it is used for. WHAT IS BAKING SODA ? Baking soda is a leavening agent that makes your baked goods rise. Yet, if your recipe calls for baking soda and you don’t happen to have any on hand, don’t feel that all is ruined. When baking, missing an ingredient can seem like the end of the world. After all, many claim for baking to be an absolute science. One particular ingredient that is used in a large percentage of baking recipes is baking soda. ​Yeast is not a chemical compound; it is a one hundred percent all-natural ingredient. Additionally, it offers the health benefits of being rich in vitamin C, calcium, and iron. Similar to baking soda, yeast helps baked goods to rise. Yeast does not add any different flavors to the dish, and is often recommended by doctors and nutritionists as a solid substitute. If you suffer from circulatory or heart problems and you need to use ingredients containing less sodium, potassium bicarbonate is a great substitute for baking soda. When substituting potassium bicarbonate for baking soda, use the same amounts as called for in the recipe. For example, if a recipe called for one teaspoon of baking soda, you would substitute in one teaspoon of potassium bicarbonate. 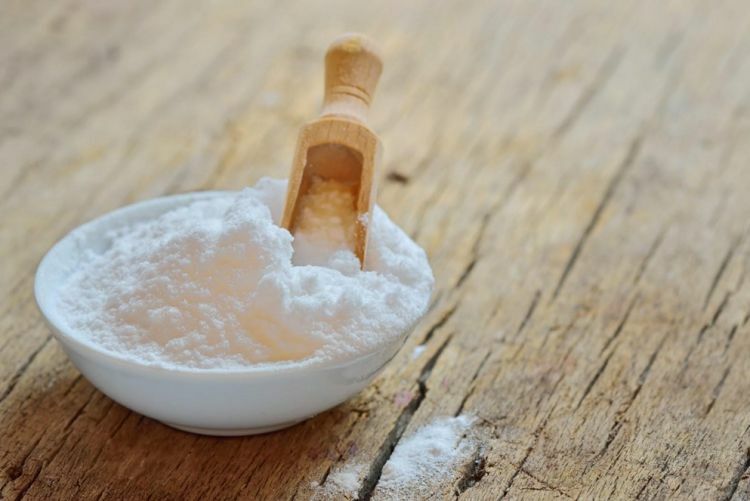 One potential problem with using potassium bicarbonate as a substitute is that it does not mix well with acidic ingredients such as sour cream, vinegar, or even citrus fruits. This substitute will not work when these ingredients are present, so it's best to replace those liquids with either whole milk or water to avoid any problems, as long as it doesn’t compromise your dish. Many people believe that baking powder is the exact same thing as baking soda and that it can be used all the time as a substitute. This is not the case, though. Baking powder actually does do the exact same thing as baking soda, but its composition is a bit different. Baking powder is actually baking soda, only it’s also mixed with an acid, such as cream of tartar. Baking powder is usually used in baked goods that don’t already have an acid in them. Similar to baking soda, it also creates tiny air bubbles causing whatever batter you’re using it in to rise. Baking powder can be used in recipes to replace baking soda, but because it is far less effective, use three times more baking powder than baking soda. If you run out of baking soda, club soda can also serve as a substitute. Keep in mind though, that depending on how much is needed, the club soda may not be effective enough at getting your food to rise. It is recommended by many bakers that milk not be used in the recipe if you have to use club soda as your baking soda substitute. Club soda also boasts the benefit of adding a light, airy quality to baked goods and other foods such as pancakes, so it serves many purposes in the kitchen. ​This usually causes a lot of confusion as people seem to use the terms a lot mistakenly in an interchangeable way. Baking powder is bicarbonate of soda mixed with cream of tartar. « Sesame Oil Substitute – What to use ?